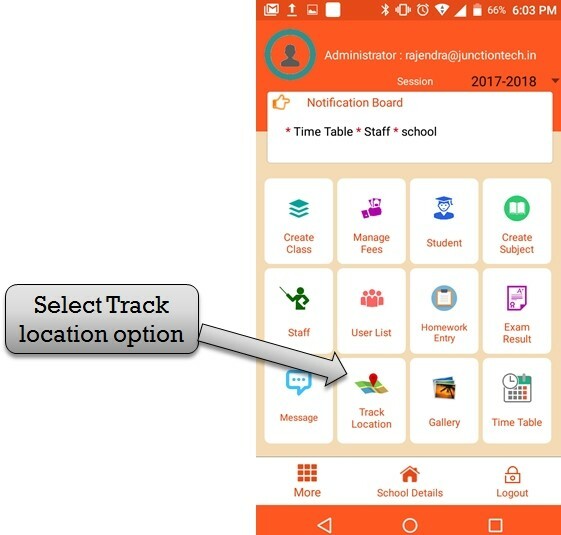 step:1st -ZeroERP School management App Software - You have to track school vehicle ,location and route then click track location option . 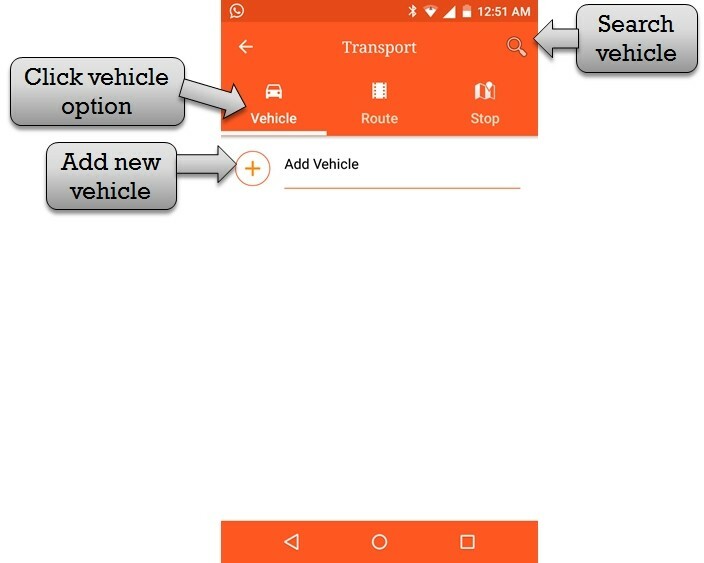 step:2nd -ZeroERP School management App Software - Select vehicle option then add new vehicle in school.you have to search school vehicle please enter vehicle name in search box . 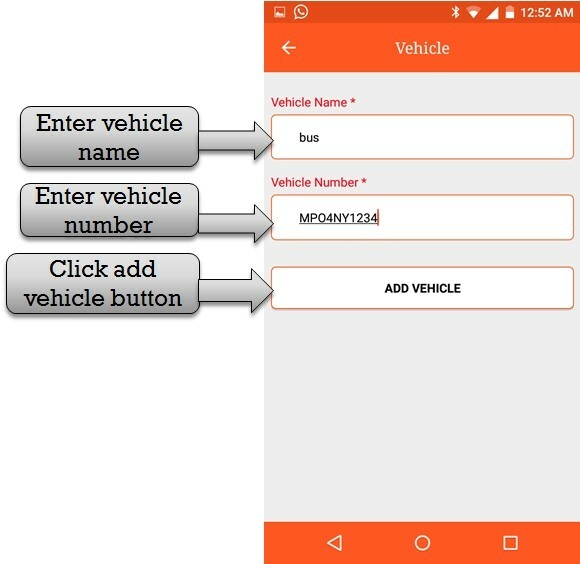 step:3rd -ZeroERP School management App Software - Enter vehicle information please enter vehicle name and vehicle number then click add vehicle button new vehicle add successfully. 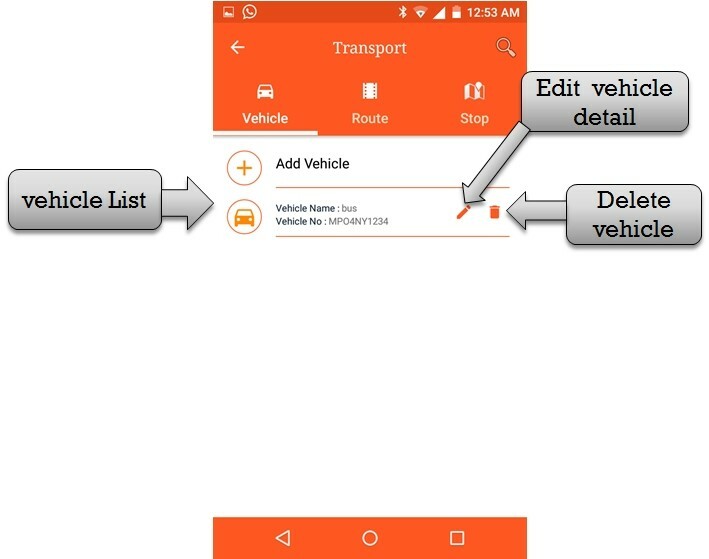 step:4th -ZeroERP School management App Software - Listing vehicle name and number.if in case you have to change vehicle information then click edit button and delete any vehicle please click delete button . 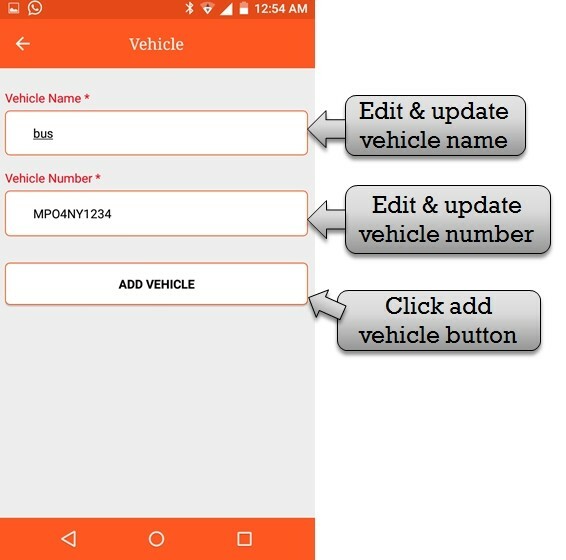 step:5th -ZeroERP School management App Software - Edit & Update vehicle information please enter new vehicle name and number and click add vehicle button .vehicle information change and update successfully . step:6th -ZeroERP School management App Software - Click delete button then open information delete confirmation message. 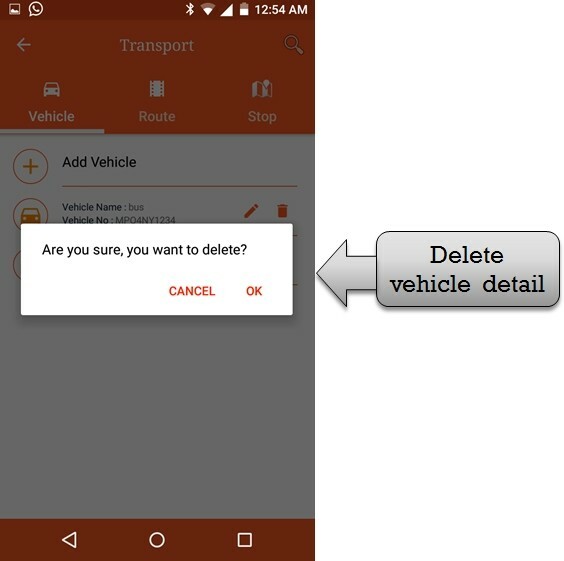 click ok option then vehicle information delete successfully . 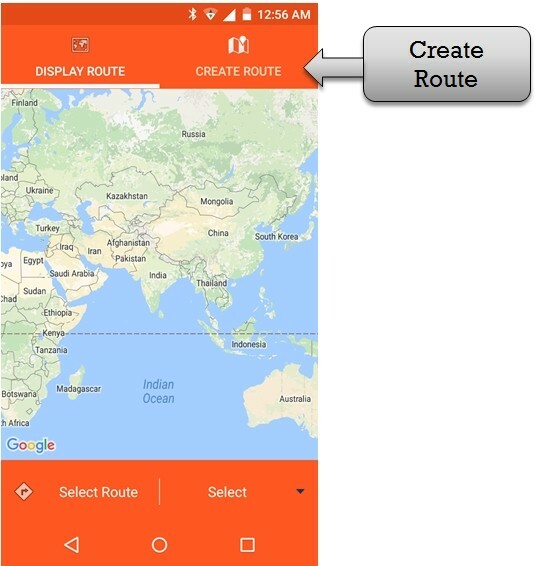 step:7th -ZeroERP School management App Software - Click create route option then create vehicle route . 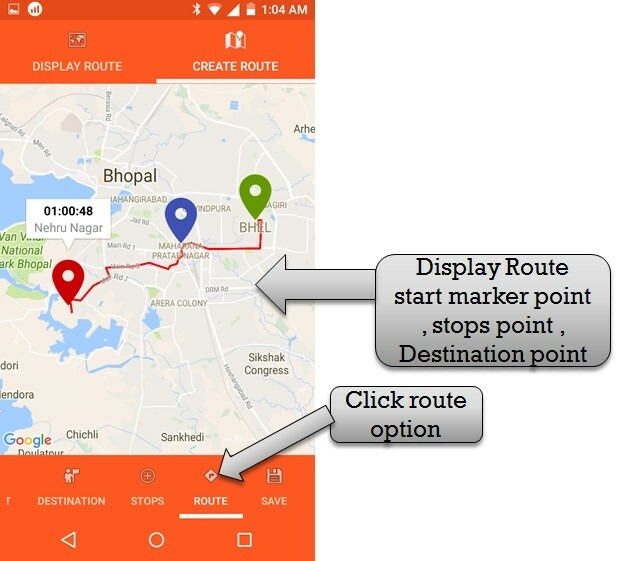 step:8th -ZeroERP School management App Software - Create vehicle route please enter you city/area/locality name in search box and select city/area/locality name. if in case your city/area/locality name is not show in search box please enter city/area/locality name and click save button . vehicle start point save successfully. step:9th -ZeroERP School management App Software - School vehicle start point show . 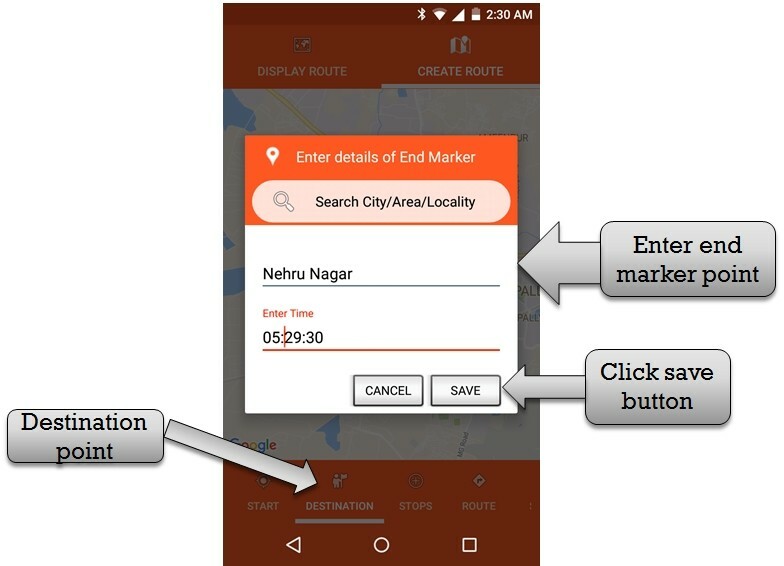 step:10 th -ZeroERP School management App Software - Enter vehicle end marker (destination) please enter you city/area/locality name in search box and select city/area/locality name. if in case your city/area/locality name is not show in search box please enter city/area/locality name and click save button . vehicle End point save successfully. step:11th -ZeroERP School management App Software - School vehicle end point show . 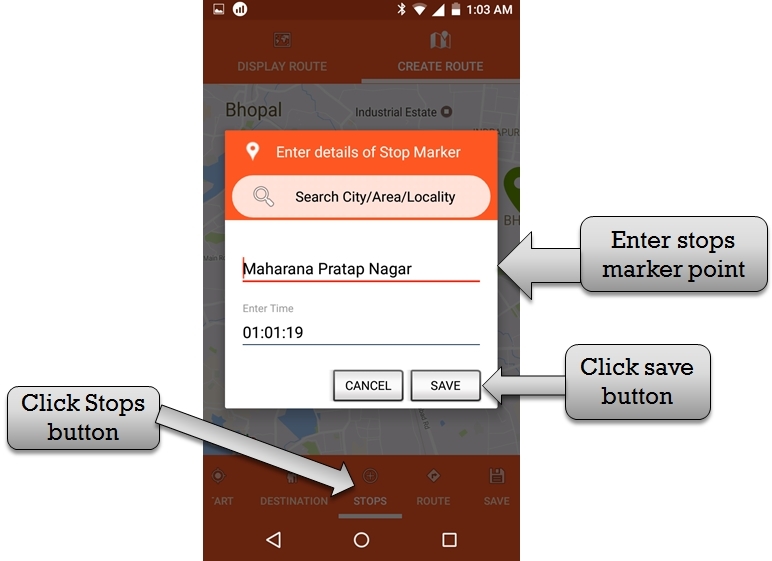 step:12th -ZeroERP School management App Software - Enter vehicle stops please enter you city/area/locality name in search box and select city/area/locality name. 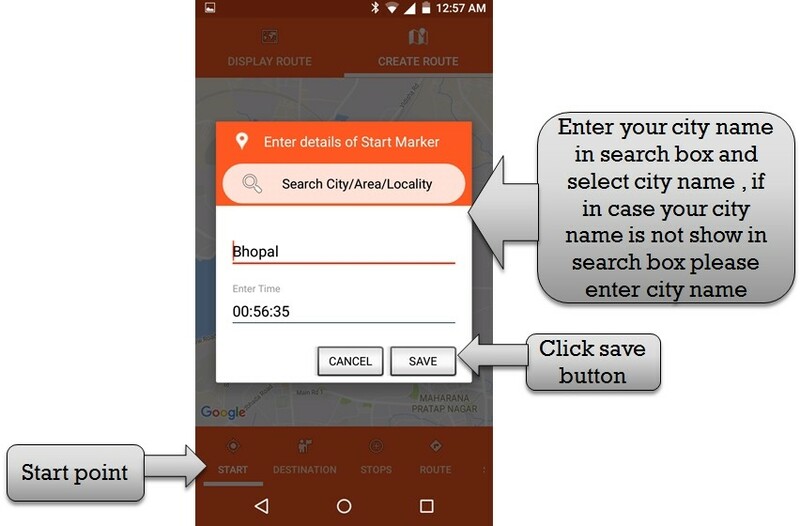 if in case your city/area/locality name is not show in search box please enter city/area/locality name and click save button . vehicle stops point save successfully. 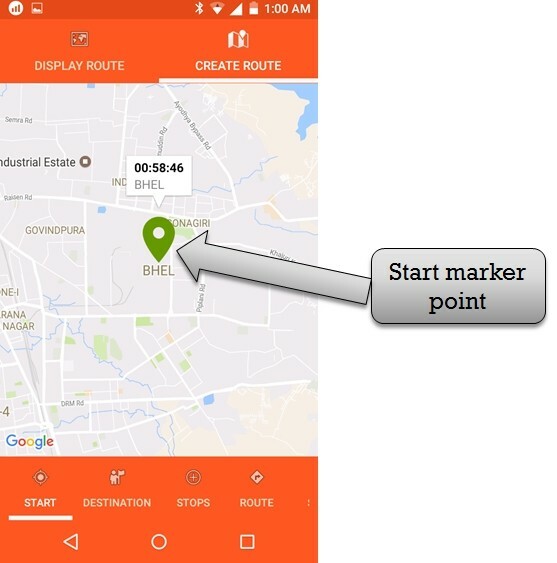 step:13th -ZeroERP School management App Software - School vehicle rout map create successfully . 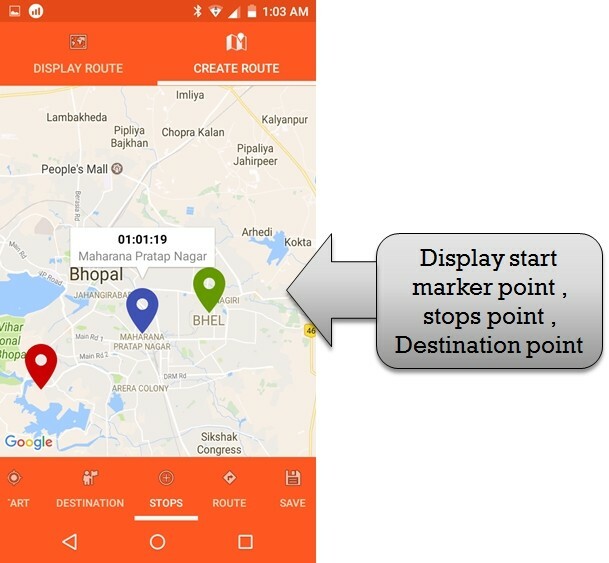 you have to see vehicle start point ,stop point and destination point create and display successfully. 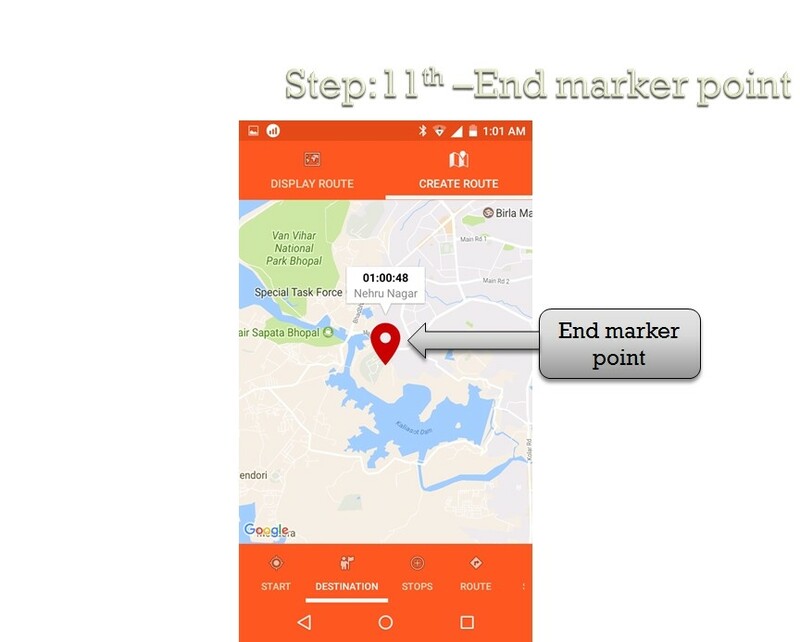 step:14th -ZeroERP School management App Software - Please click rout option then display vehicle start point,stops point ,and destination point showing successfully. 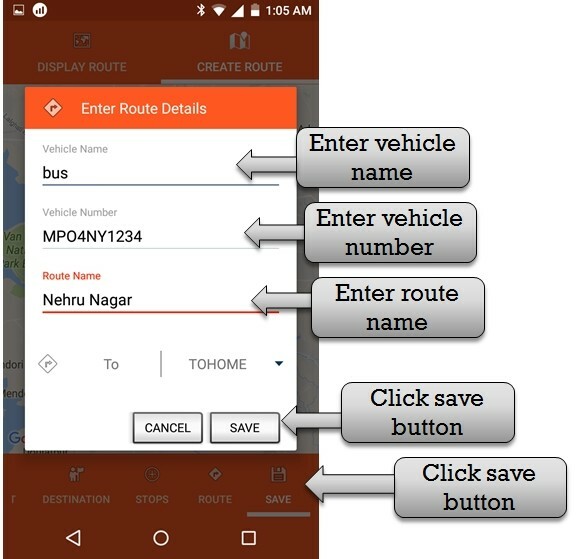 step:15th -ZeroERP School management App Software - please enter rout detail enter vehicle name , vehicle number and rout name then click save button . 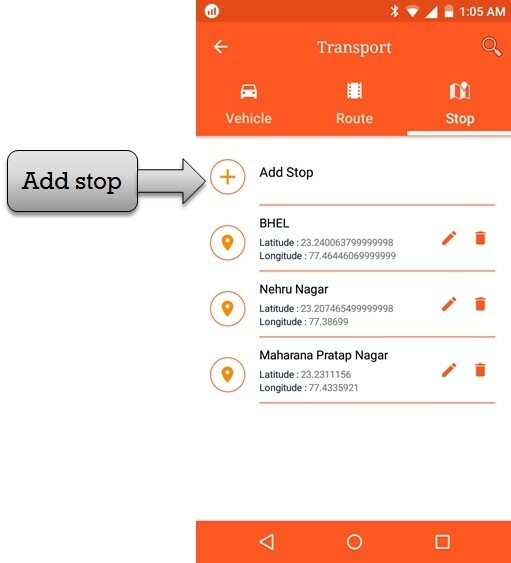 step:16th -ZeroERP School management App Software - Listing all stoppage list then you have to add more vehicle stop please click add stop option . 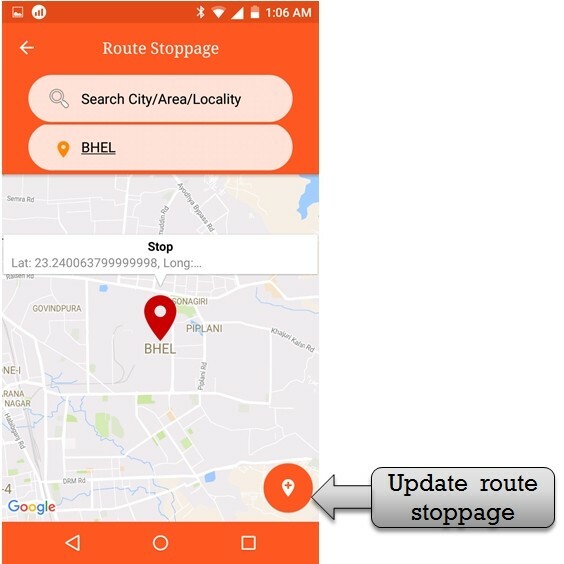 step:17th -ZeroERP School management App Software - Enter vehicle stoppage please enter you city/area/locality name in search box and select city/area/locality stoppage. if in case you have to update vehicle stoppage please click + sign button then update vehicle stoppage .